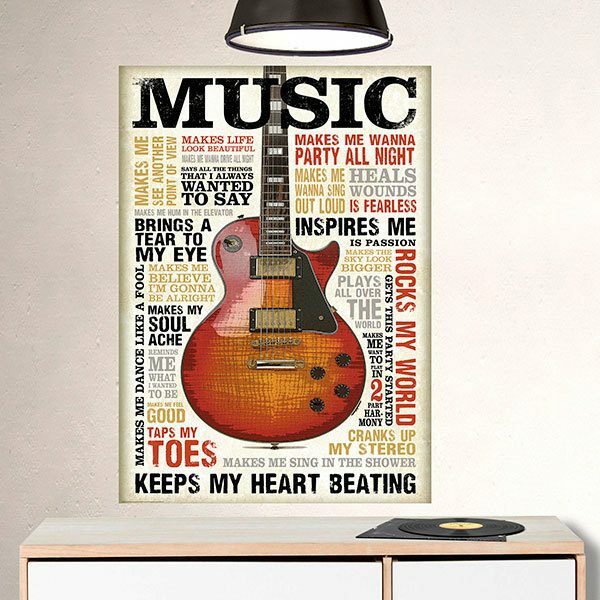 Adhesive vinyl poster Music. 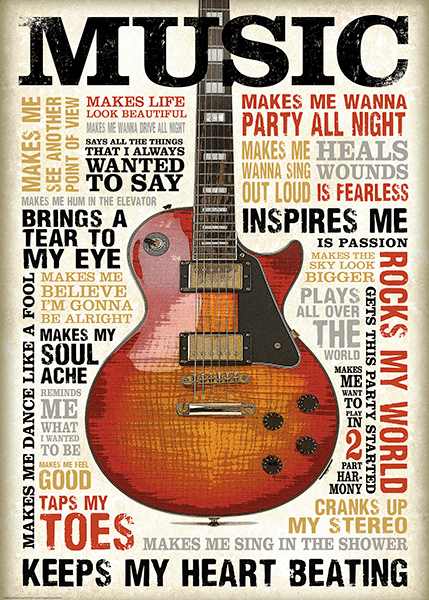 Magnificent design of an electric guitar Gibson Les Paul surrounded by texts in English, related to music. 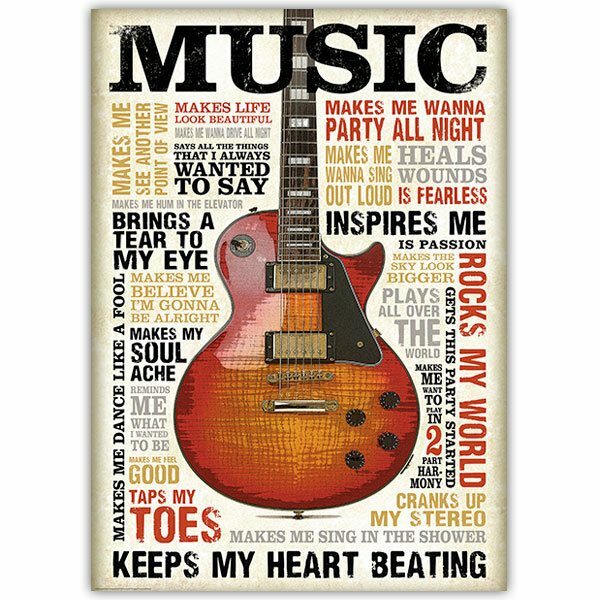 An ideal choice for lovers of good music. Give your entertainment area or workplace a special musical style. Size: 44 x 31 cm. 11.42 x 15.75 in. 14.17 x 19.69 in. 16.93 x 23.62 in. 19.69 x 27.56 in. 22.44 x 31.50 in. 25.20 x 35.43 in. 27.95 x 39.37 in. 31.10 x 43.31 in. 33.86 x 47.24 in. 36.61 x 51.18 in. 39.37 x 55.12 in. 42.13 x 59.06 in.